Vuforia Studio unleashes the power of the Microsoft HoloLens in the industrial enterprise with built-in support for gestures and voice commands. Now enterprise stakeholders can rapidly create scalable Mixed Reality experiences to enhance sales efforts with virtual product demonstrations, improve service/maintenance with hands-free work instruction and enable knowledge transfer for more effective training. ​Vuforia Chalk brings your technicians and experts together to solve problems faster & more effectively. 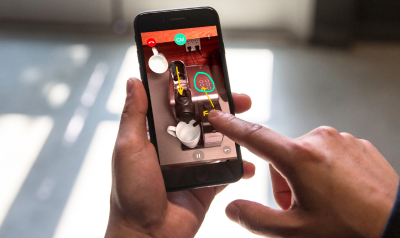 Power your people with AR Remote Assistance.